Sure, everyone knows and loves the Original Tommy's Hamburgers chain, which's been serving its sloppy, famous chili burgers to, er, sloppy people at all hours since 1946. In fact, they're so beloved that tons of other spots have, well, sorta ripped 'em off. 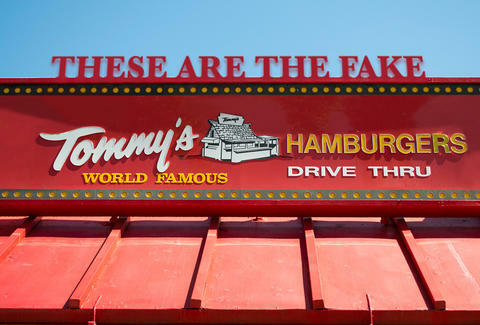 From Tommie's to Big Tomy's to Super Tommy's, here's your guide to every single fake Original Tommy's in LA. How is it like Original Tommy's: It's a burger joint, with red lettering. Also, the name thing. How is it not like Original Tommy's: There're less locations, the writing isn't in a weird cursive font, and they serve French toast. Do they serve chili? Of course. 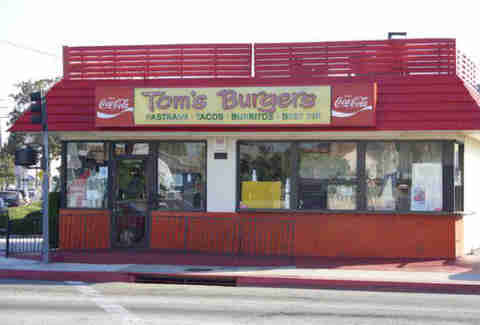 How is it like Original Tommy's: Honestly, mostly because it's named after his little hijo, and they have burgers. How is it not like Original Tommy's: They've got entrees like teriyaki chicken and fish. Also, it's mostly in hoods you probably won't find yourself in much if you wear cardigans. Do they serve chili? Yeah. They've got chili. 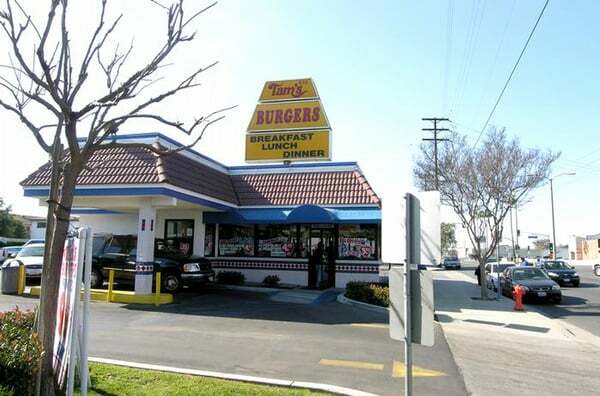 How is it like Original Tommy's: Their red and yellow color scheme, script letters, and burgers. How is it not like Original Tommy's: A monster menu that includes a super-juicy Philly cheesesteak. Do they serve chili? Indeed, they do. How is it like Original Tommy's: Well, there is that name. 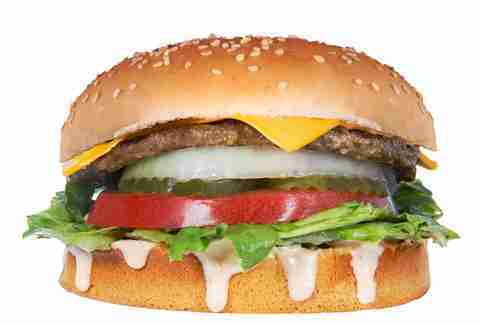 And of course burgers. Mostly the name though. At least they went the extra step and made an actual logo, unlike some of these other places. How is it not like Original Tommy's: None of the founders are named Tommy. And they're "famous" for their chicken and waffles. Do they serve chili? 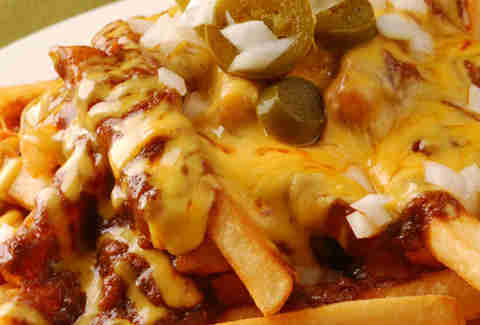 Yep, on top of fries -- and also topped with pastrami, steak, chicken, or bacon. So this place kinda totally rules. How is it like Original Tommy's: It's a burger stand, so there's that. But it's Greek! How is it not like Original Tommy's: It's GREEK! Which must mean something. They also serve teriyaki... which isn't Greek at all. Do they serve chili? Is chili Greek? How is it like Original Tommy's: It was started as a family-run stand, and specializes in ground beefiness. How is it not like Original Tommy's: Their famous burger's got no chili on it -- instead, it's buried under two slices of bacon, pastrami, Thousand Island dressing, mustard, onions, lettuce, and pickles, and is called the Combat Radio Burger... clearly meant to appeal to fans of both The Clash and Cuba Gooding, Jr.
Do they serve chili? 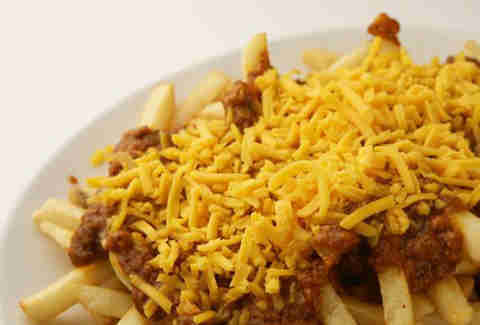 Yes, but only on top of fries, for some reason. How is it not like Original Tommy's: The letters 'i' and 'e'. Do they serve chili? You know it. How is it like Original Tommy's: They claim -- right there on their website! -- to be a "famous chili-burger restaurant." 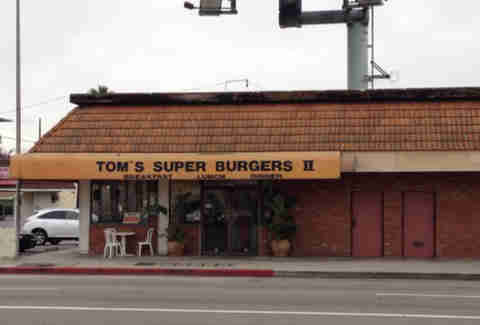 How is it not like Original Tommy's: Well, for one, it's super. Two, have you ever eaten huevos rancheros at Original Tommys? 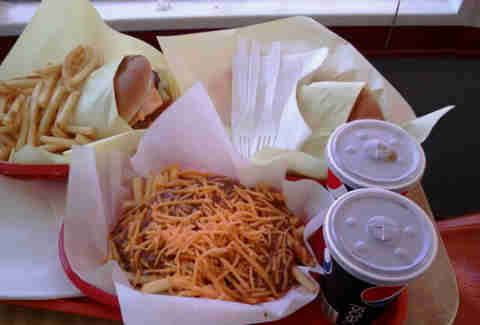 'Cause you can at Super Tommy's. Do they serve chili? Oh yeah. How is it like Original Tommy's: Well, the've been ripped off, too. See below. How is it not like Original Tommy's: Burritos, yo! How is it like Original Tommy's: Let's not even answer this question. Let's just revel in the Inception-level ripoff that's going on here. How is it not like Original Tommy's: I mean, wow, that's a lot of ripping other people off! Do they serve chili? Probably. Yeah. Yes. They do.